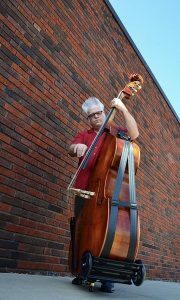 Double basses are large enough as is and if you have to lug your bass around everyday, you’re going to want to make it as easy as possible. Thankfully bass wheels, trollies, and buggies were invented so moving your bass is as easy as it can be. We’ve reviewed the best bass wheels you can buy below so that your decision can be easier than dragging your bass around. With these wheels and buggies you’ll be able to easily move your bass from home to car and car to performance are without too much effort. End-Pin Wheel or Bass Buggie? The main decision you’ll have to make when buying wheels for your double bass is whether you want an end-pin wheel or a buggie. End-pin wheels are very convenient since you simply insert the tip of the wheel into the end-pin, but they are also more difficult to steer. 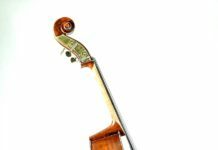 On the other hand, bass buggies require more set-up time before you’re ready to move your bass since you have to attach all of the straps, but they are much easier to steer and handle bumps better. In the end, it’s a personal choice and you might want to try both options to see which one works better for you. The Shar Music bass buggie is our favorite set of wheels for double basses. This is because it is one of the least confusing bass buggies. In a matter of seconds, you can have the wheels on your bass and be ready to go. The double set of wheels provides cushioning when you hit bumps in the road. 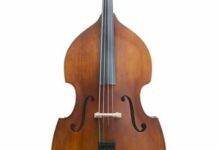 Unlike a traditional double bass wheel, this buggie does not put pressure on the lower part of your double bass so there is less risk of long term damage. 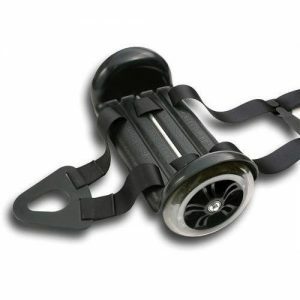 The straps attach securely to your bass and the buggie can even hold your bass upright on its own. We wouldn’t recommend relying on this feature as setting your bass down is always the safer choice, but it certainly is an option. 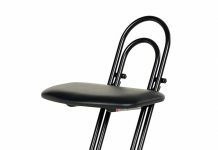 Another great double bass buggie, “the bass wheel alternative” by JPT Enterprises is a great choice for those who want a sturdy bass buggie. This bass buggie can handle mild off-roading that a bass wheel could never handle. It can even go over a regular double bass bag in case of bad weather. If you’re not willing or able to pay for the Shar Music bass buggie above, the JPT Enterprises buggie will serve you just as well. If we have to recommend a double bass wheel, it has to be the Glasser one. This double bass wheel fits easily into your end-pin and gives you mobility within seconds. Great if you only have a short distance to traverse and know that there’s no rough terrain. Great for moving your double bass on and off stage. The bass wheel even comes with a braking mechanism so your bass won’t start rolling away from you.